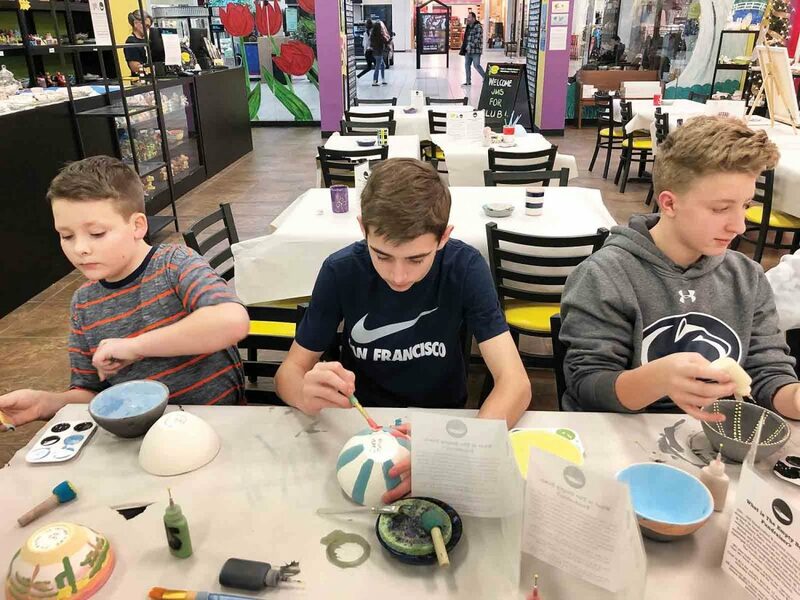 Photo Provided Jackson Middle School seventh-graders, from left, Ashten Robbins, Casey Stanley and Ethan Schall work on soup bowls for the Empty Bowls Luncheon at The Pottery Place in Grand Central Mall. VIENNA — Thirty-six members of the FOR Club at Jackson Middle School met at The Pottery Place at Grand Central Mall on Thursday to paint bowls to aid in the Empty Bowls Luncheon fundraiser, which will be March 30 at First United Methodist Church in Williamstown. The luncheon from 11 a.m. to 3 p.m. raises money to benefit local food pantries. Last year, the event raised $6,000. 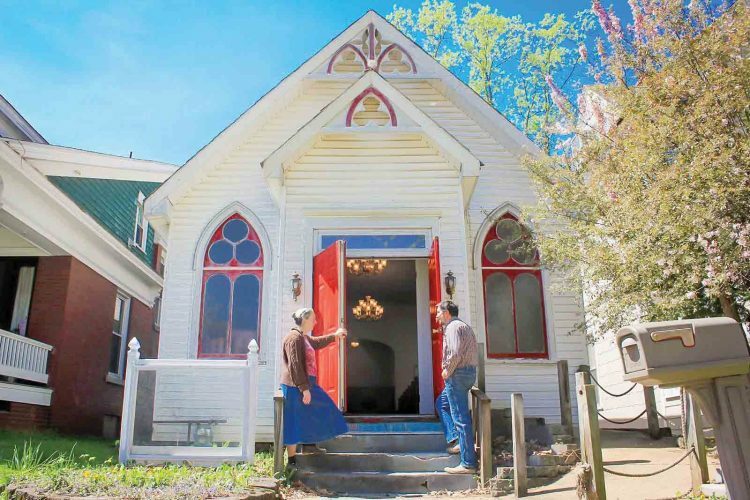 The church is located at 304 West Fifth St. in Williamstown. Those who pay $12 (adults) and $10 (children) get lunch and can select a soup bowl. 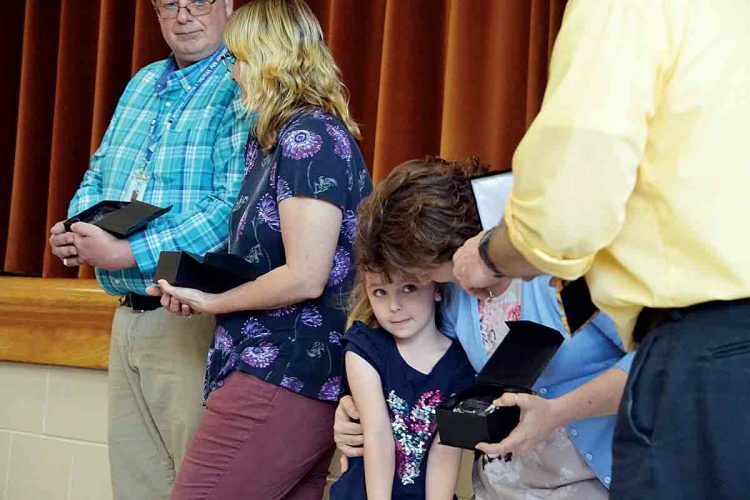 “We thought it would be a great way to indirectly give back to the community,” said Cherish George, teacher and one of the supervisors at Jackson’s FOR Club. FOR stands for Friends of Rachel, a group that performs acts of kindness in the community. The club was formed in honor of Rachel Joy Scott, who was the first victim of the Columbine School shootings in Colorado. The Pottery Place will allow sponsorships of donation bowls and/or painting of bowls at the store for $10 per two bowls. The studio’s goal is to paint and donate 170 bowls by Sunday. For more information visit the studio in Vienna or call 304-422-8777. The event has been held at many churches over the years because hunger is a community problem, not just one area. Approximately 400 handcrafted and painted ceramic bowls will be up for grabs on March 30, coming from area schools and through the public.